The Edge announced he is raising funds to replace the instruments lost by musicians impacted Hurricane Harvey. The U2 guitarist began his charity Music Rising, in 2005 after Hurricane Katrina. 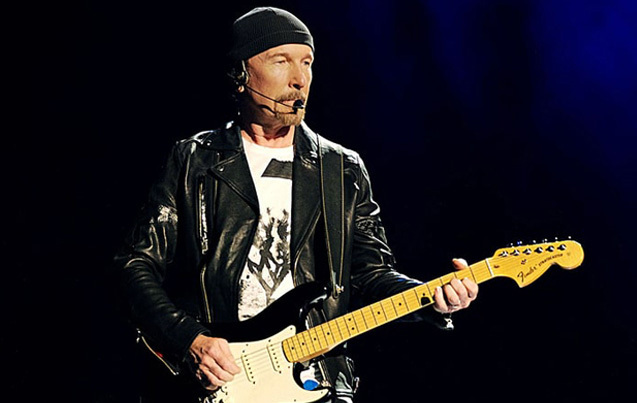 "You might recall that Edge – when Hurricane Katrina did its damage to New Orleans and destroyed the lives of so many musicians there – he put together Music Rising," The Edge's U2 bandmate, Bono, said in an interview with Boston radio station Mix 104.1. "And it was a really clever way of getting the musicians of the area some instruments so they could continue to live." Though exact plans for the recovery effort haven't solidified just yet, Bono noted that "Edge has been in discussions now to do the same [work] in Houston. And you know, we have private ways that we will respond, but publicly that's what we're doing."